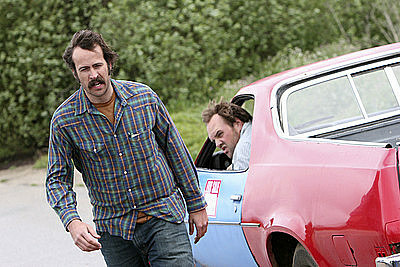 1x24 Number One. . Wallpaper and background images in the My Name is Earl club tagged: my name is earl season 1 photos stills 2005 episode 24 1x24 number one jason lee earl hickey randy hickey ethan suplee. This My Name is Earl photo might contain hatchback, hatchback door, automobile, car, auto, suv, truck, and hatchback.